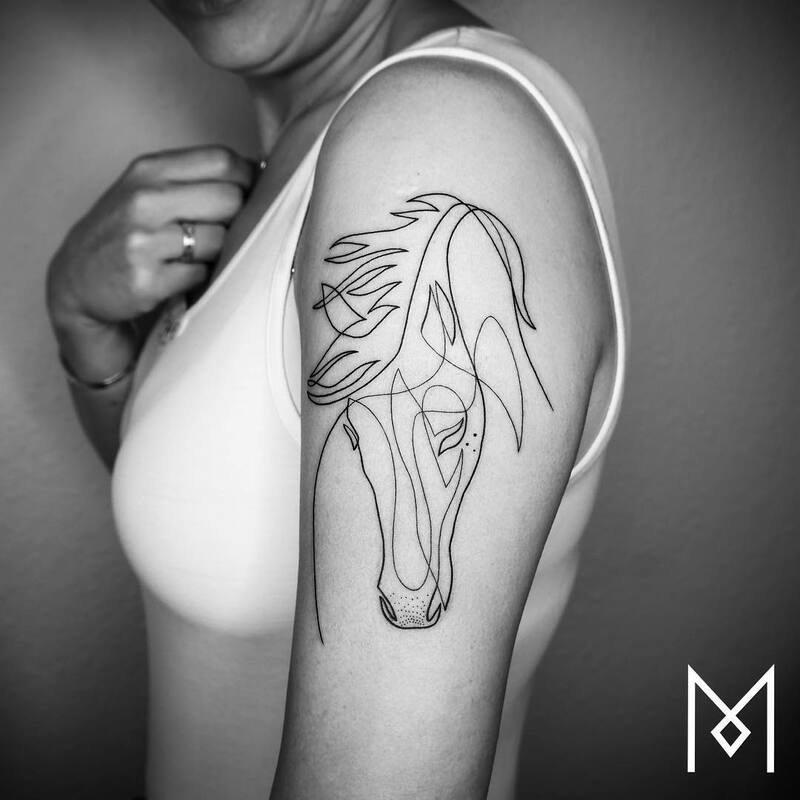 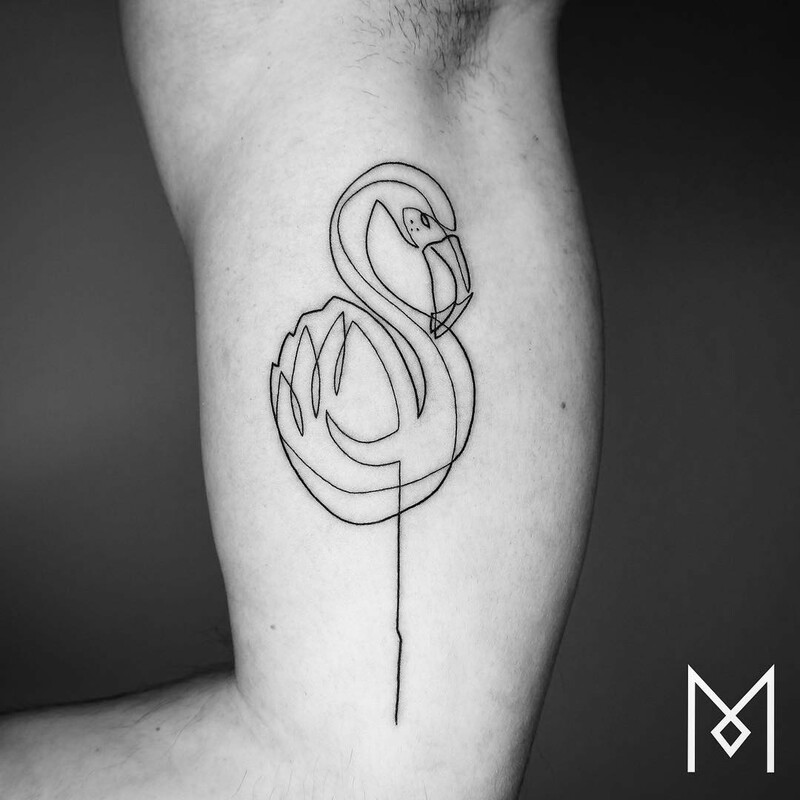 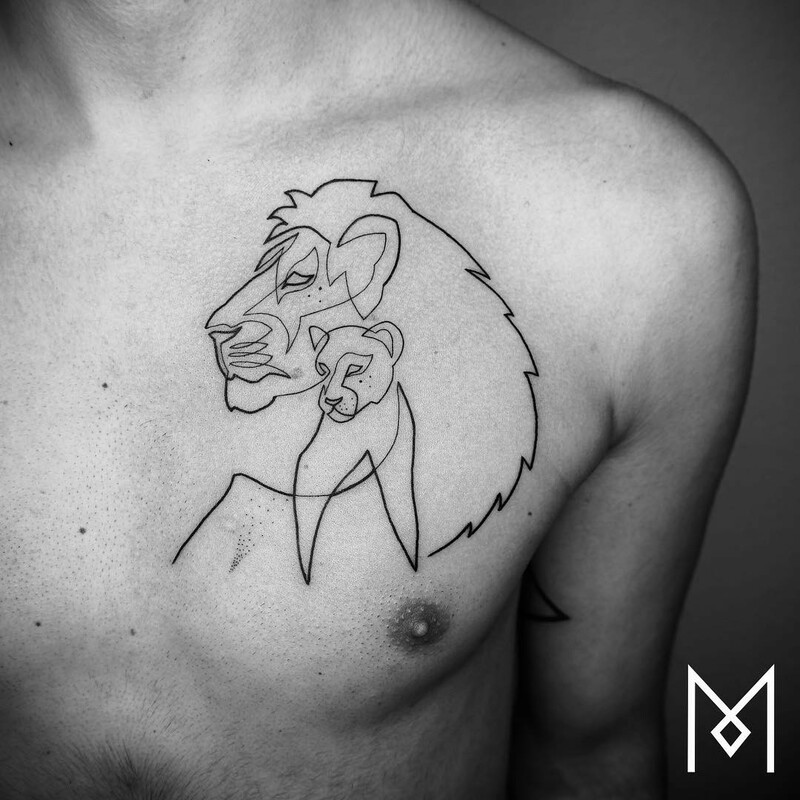 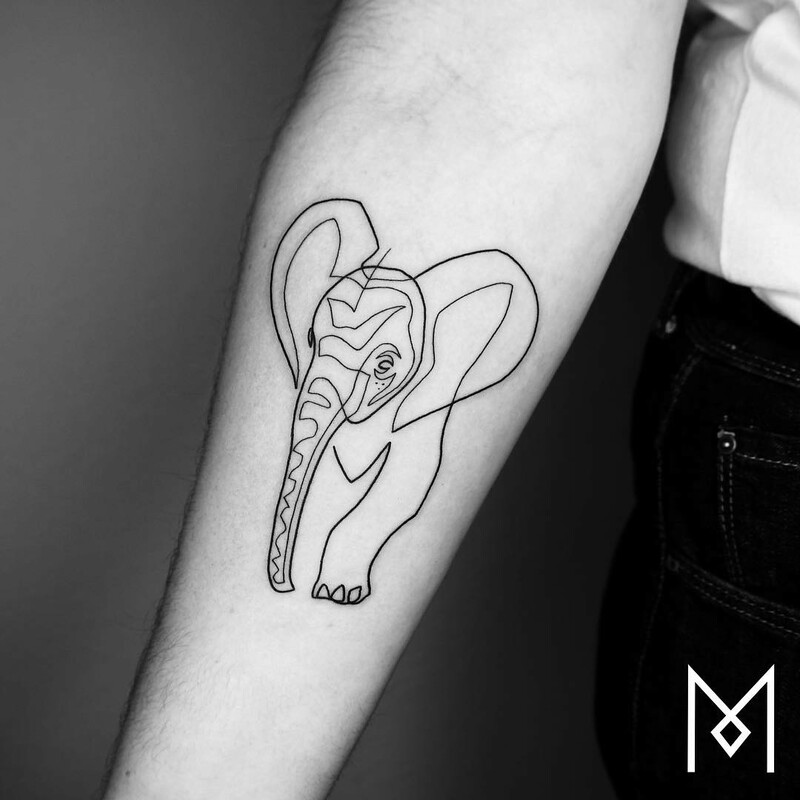 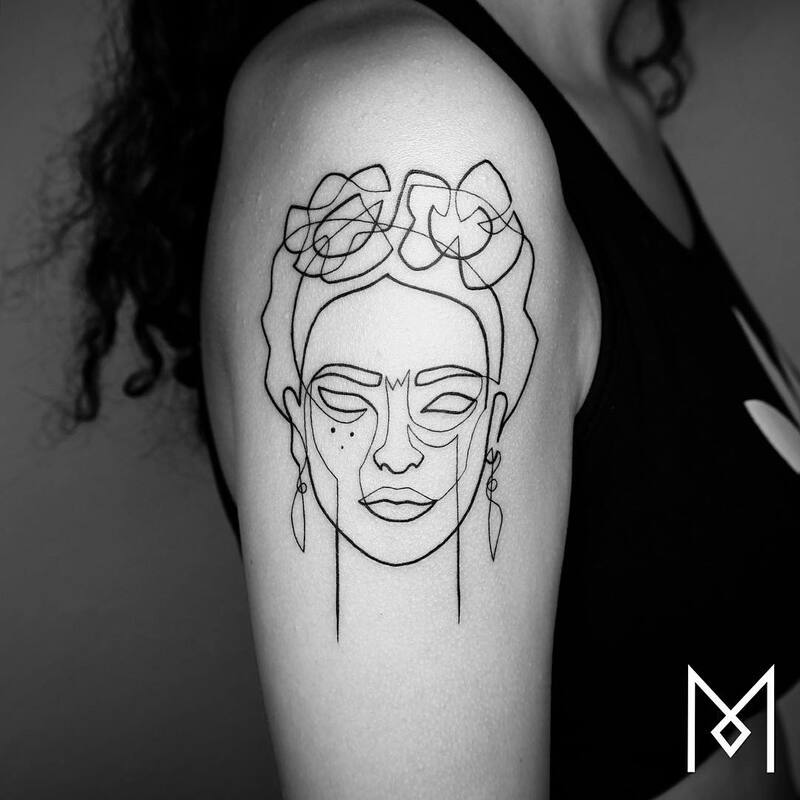 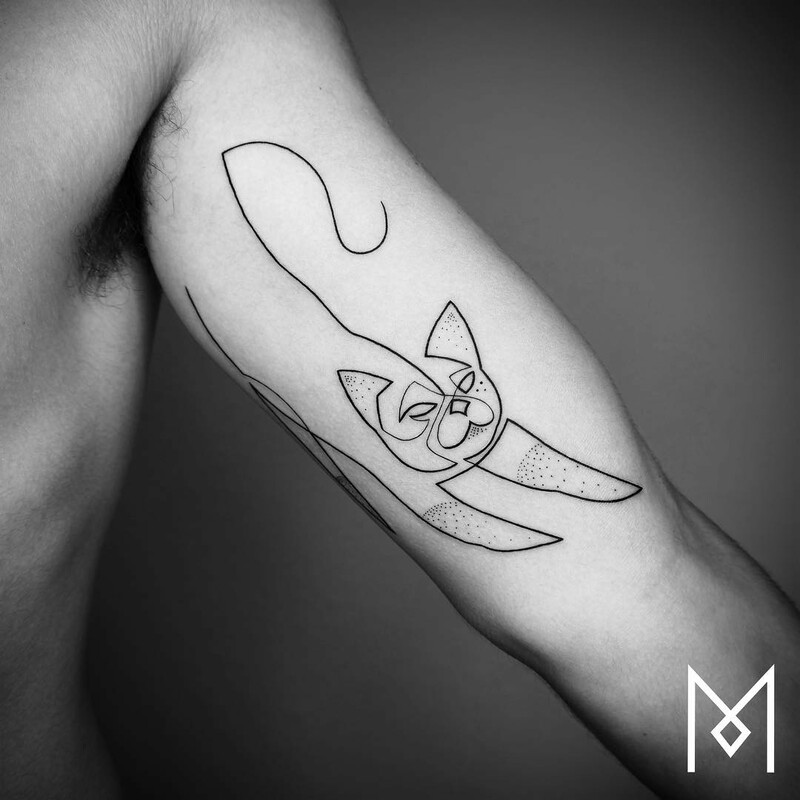 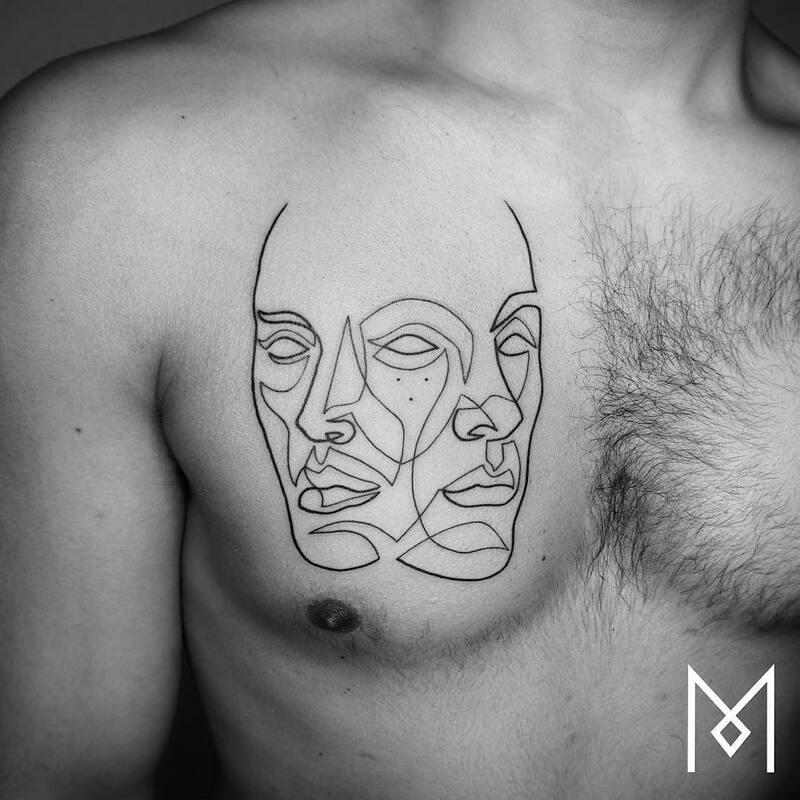 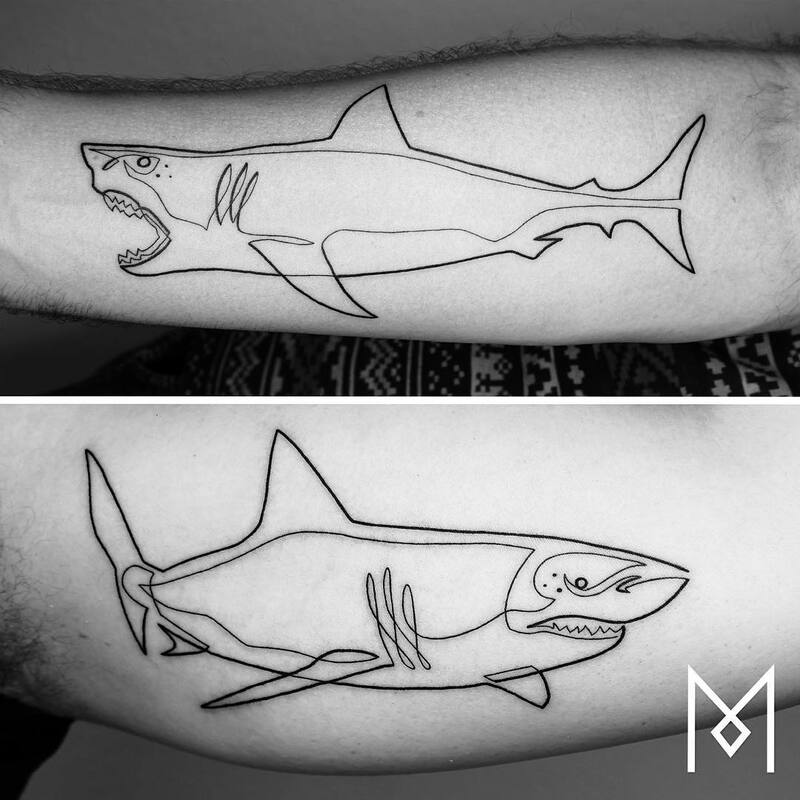 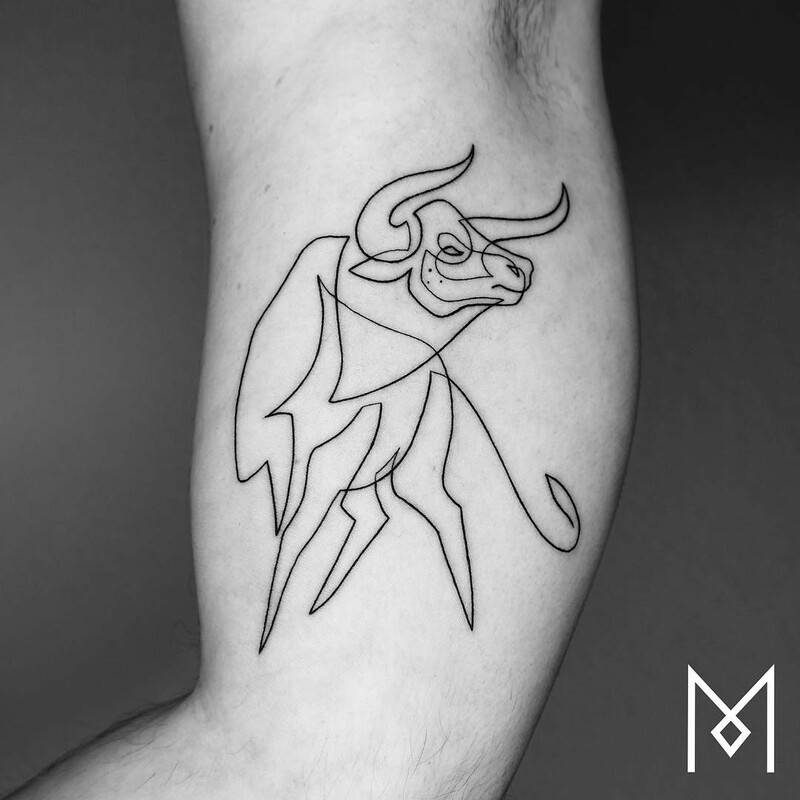 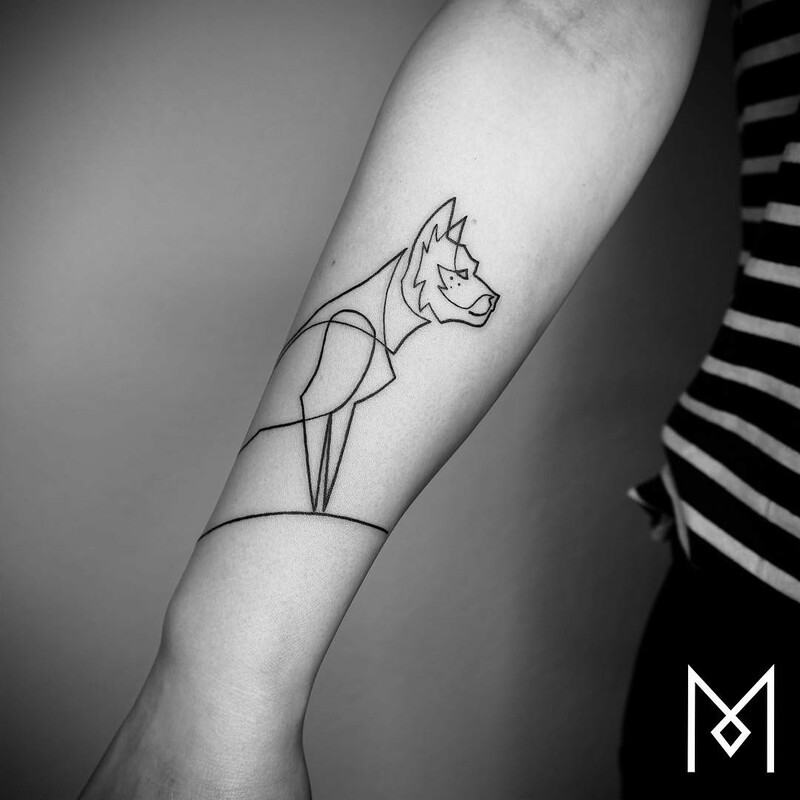 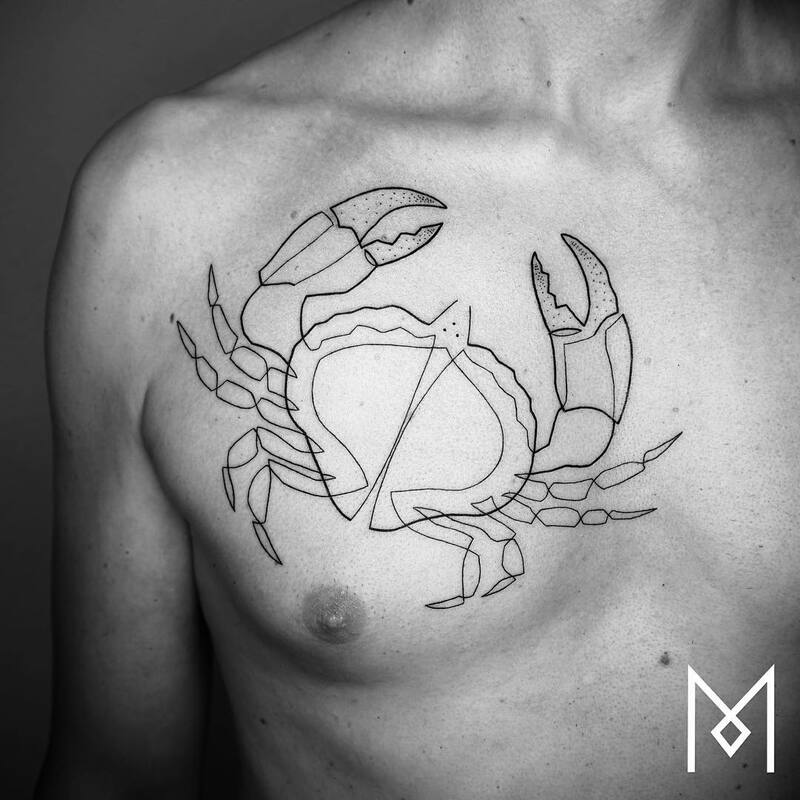 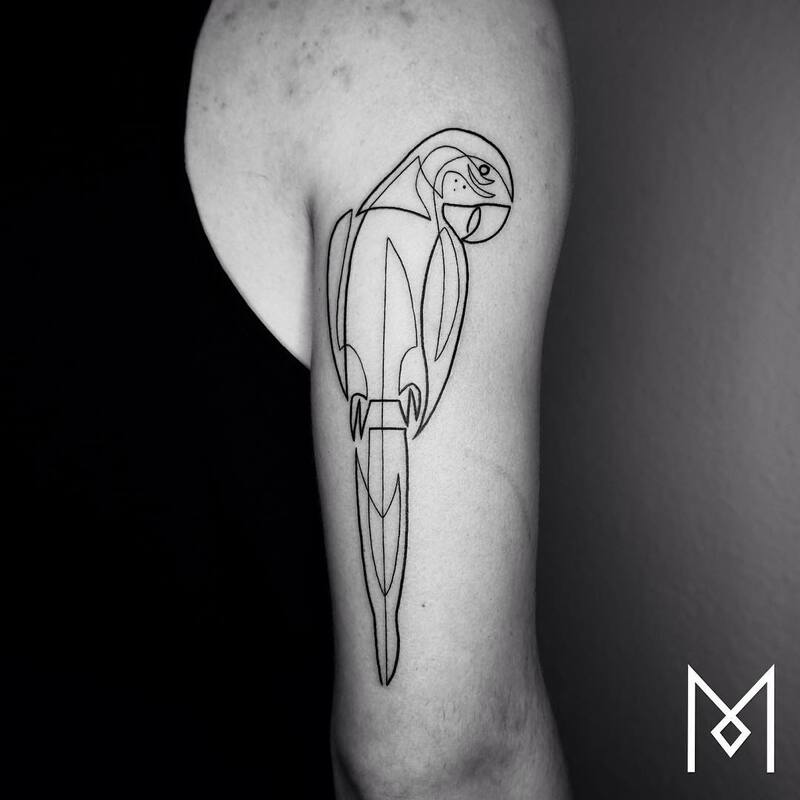 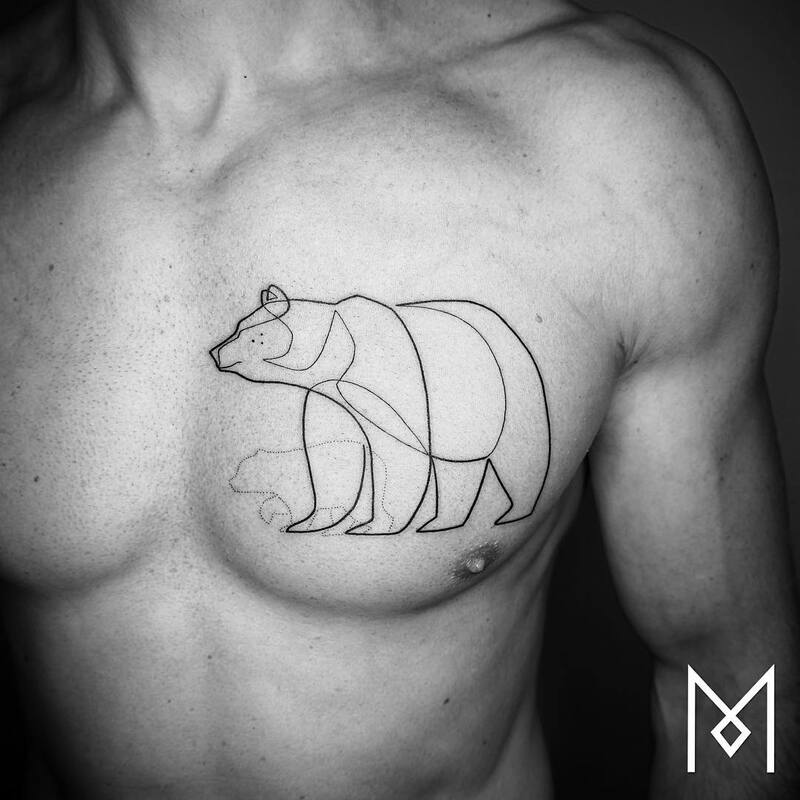 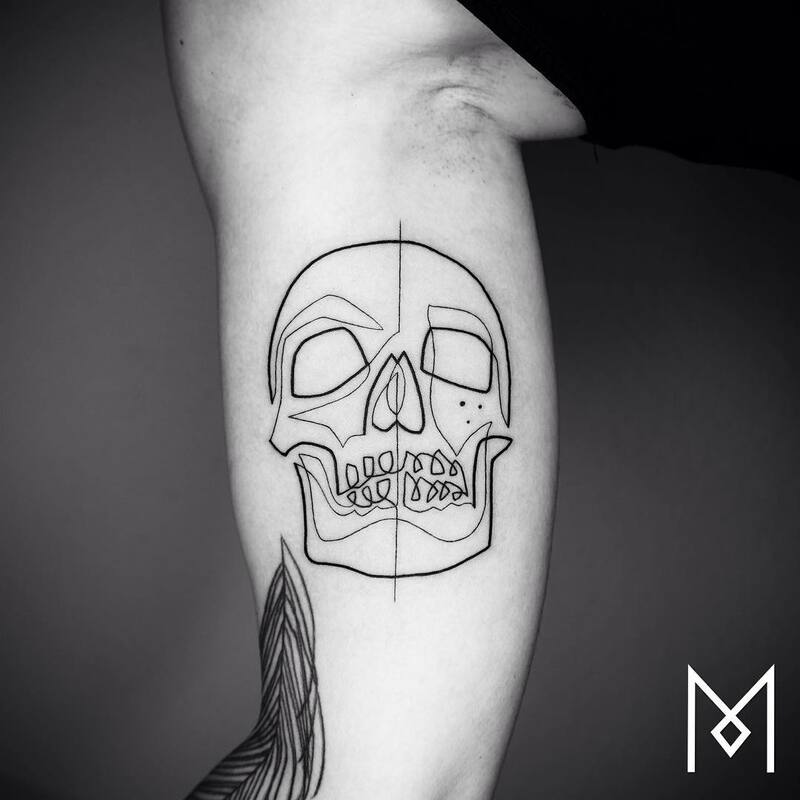 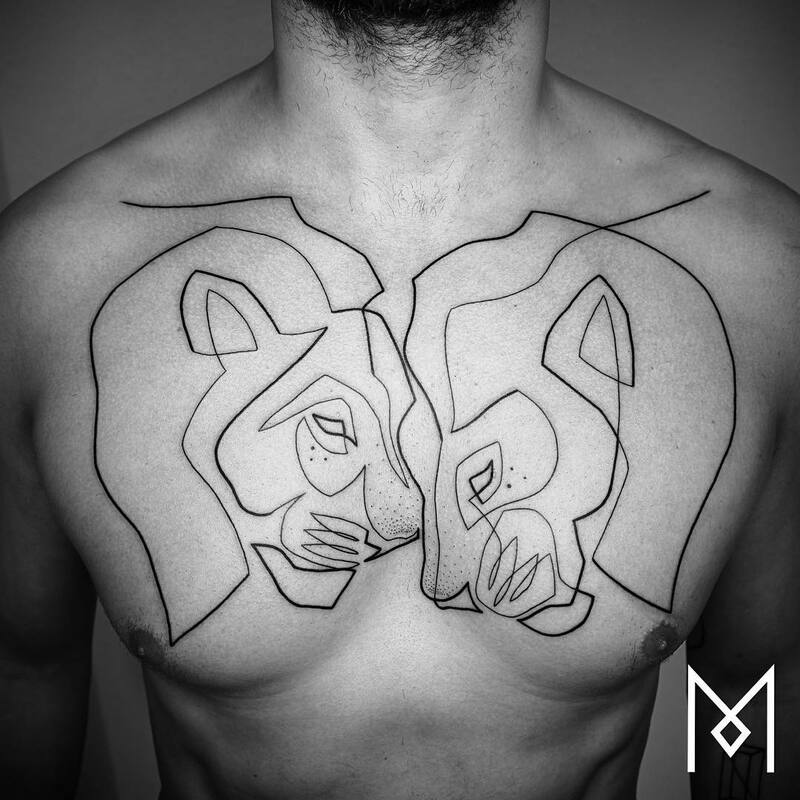 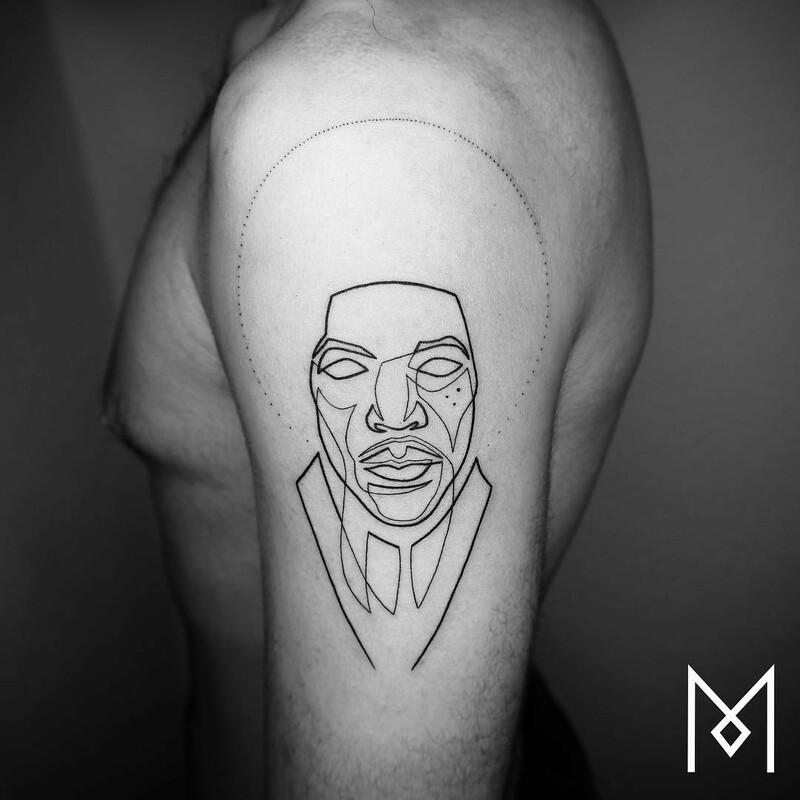 Berlin-based tattoo artist Mo Ganji creates tattoos that utilize a single delicate black line. 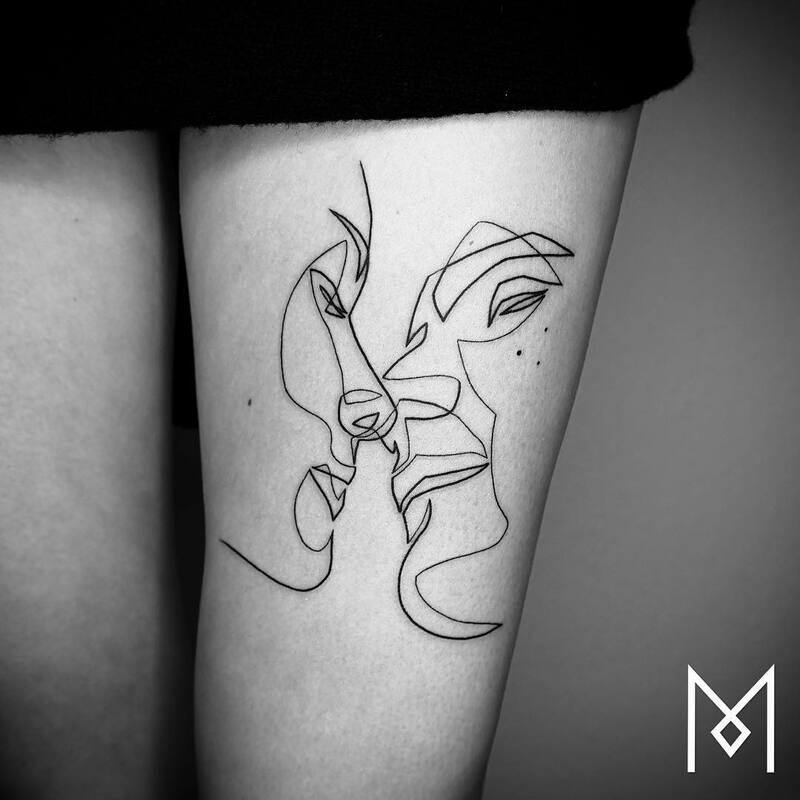 The images are all figural, yet range from elephants and koi fish to more gestural images of half-drawn faces. 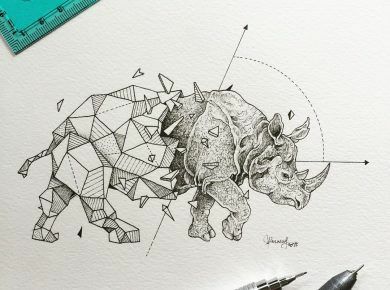 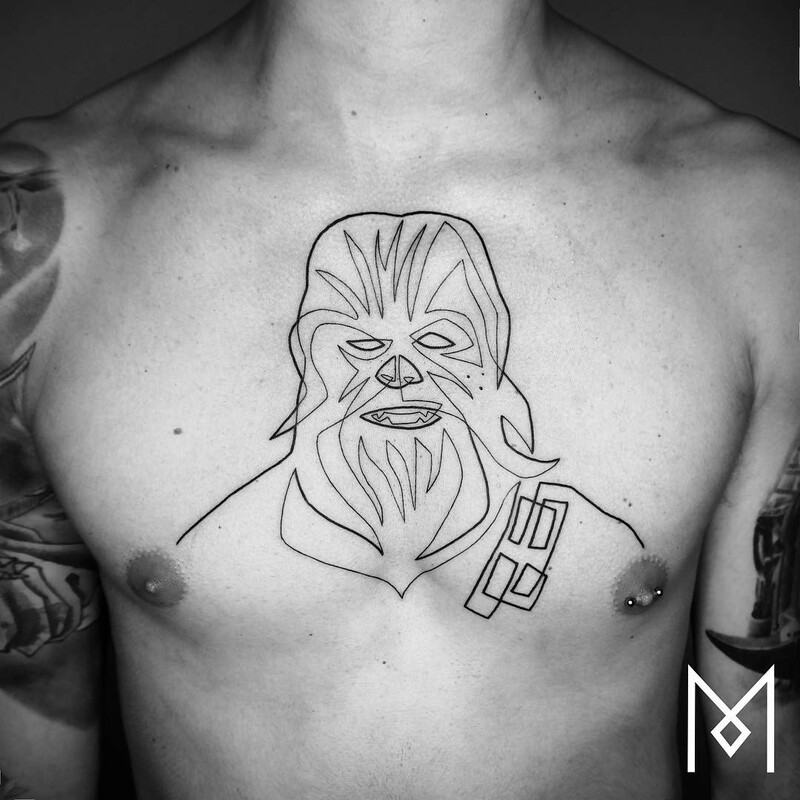 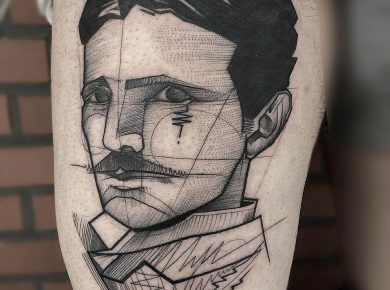 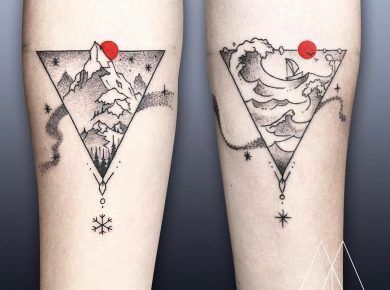 Each tattoo relies on an unbroken line that varies only slightly in thickness as it weaves in and out of each image, sometimes accompanied by a few accent dots. 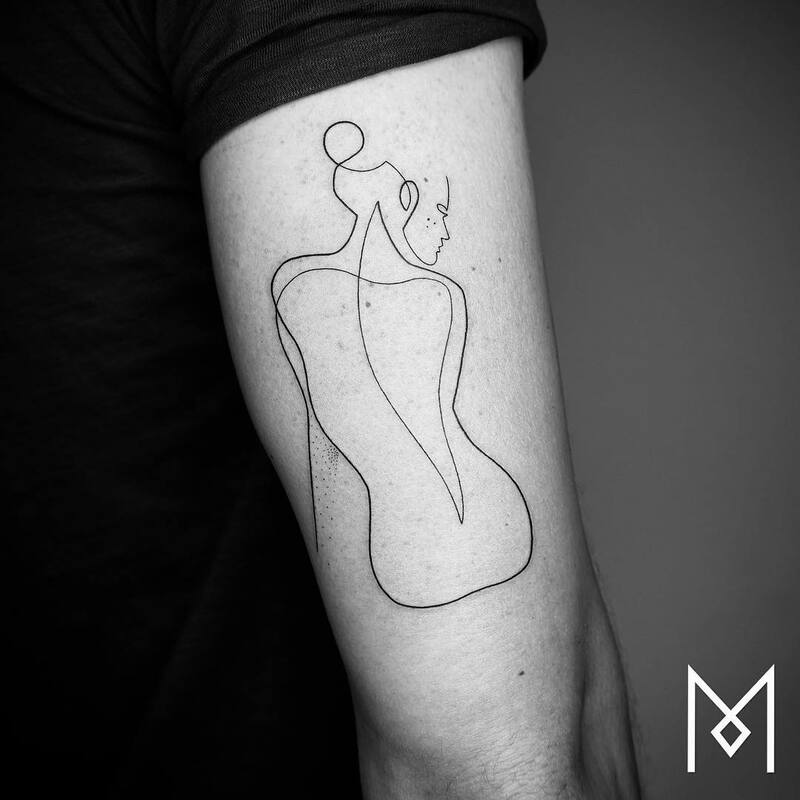 Each work is breathtaking in its simplicity, stark images that relate to the artist’s own views of mastering a simple and honest life. 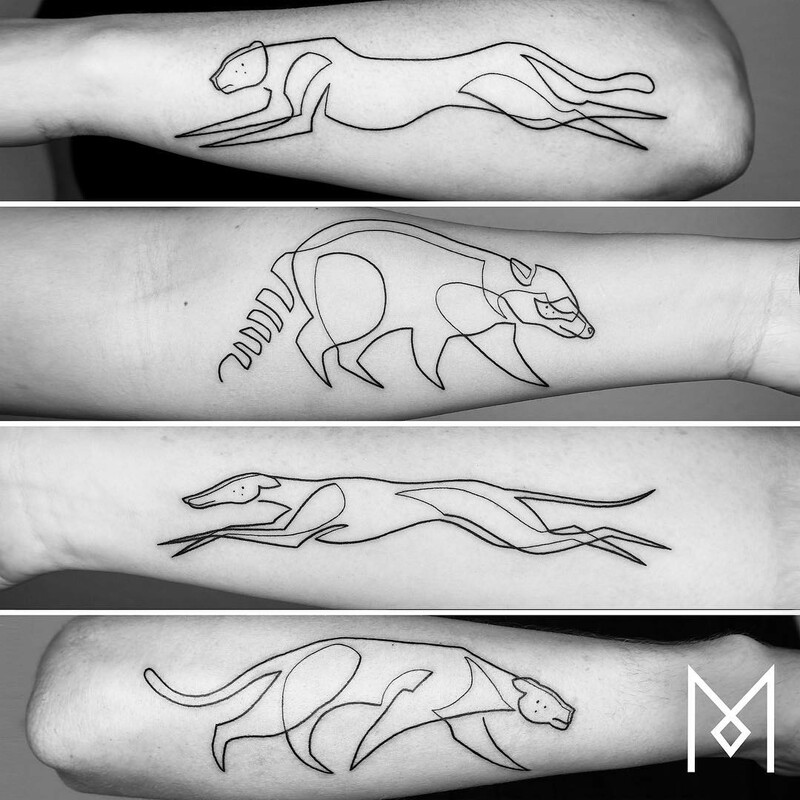 Take a look at some of his tattoos!